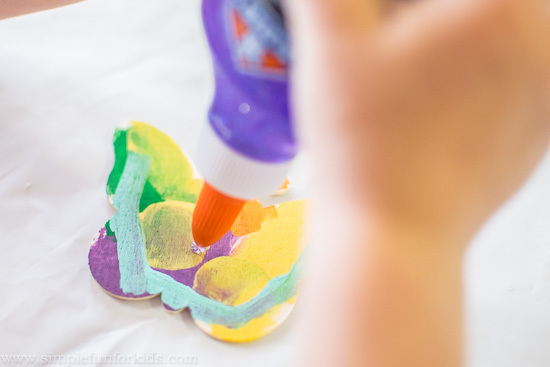 We really enjoyed this fun little craft that was perfect for spring: Painted and Jeweled Butterflies! and E got right to painting. 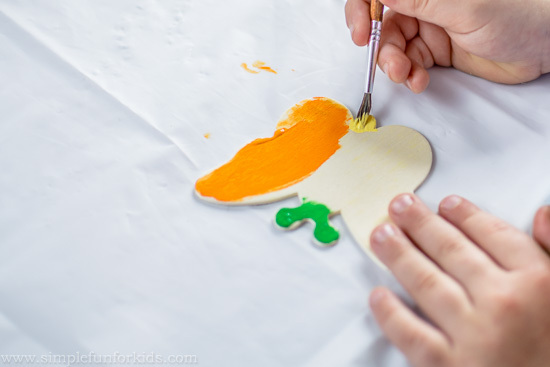 but she went right back to painting when she realized how hard that was. 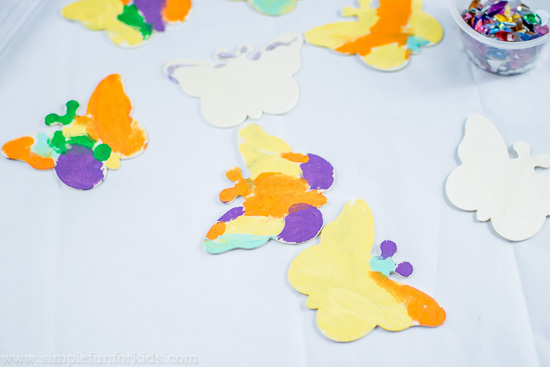 She worked tirelessly on painting all the butterflies. There were ten cutouts in the package, but I had only given her five to begin with. I happily gave her the rest when she asked for more and I saw how much she enjoyed the activity! 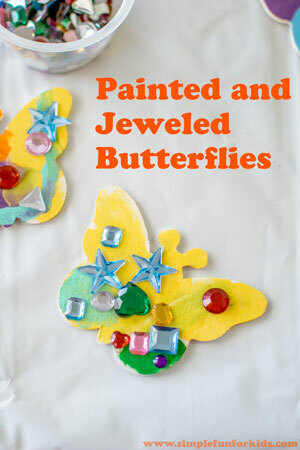 However, by the time she’d painted all the butterflies, she wasn’t really interested in adding the gems anymore. She did like the one I did, though! 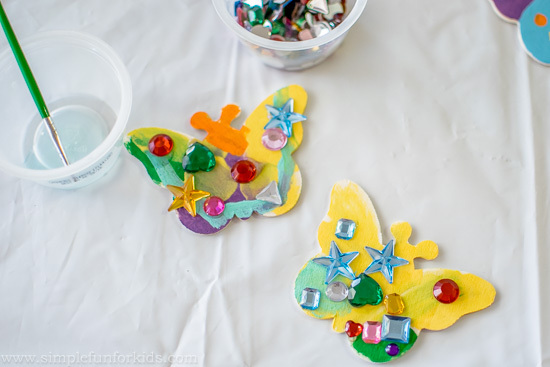 A few days later, we finally got around to adding the gems to the rest of the butterflies. 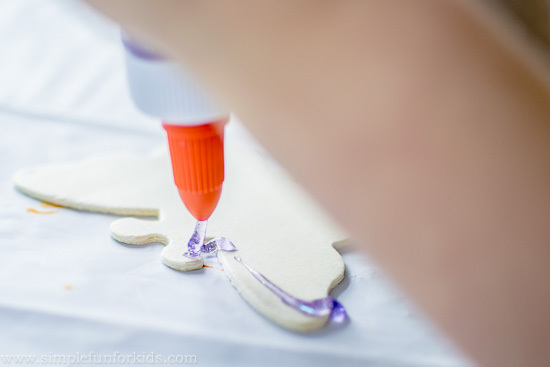 but finally decided that using a paintbrush to brush the glue on was her best bet. 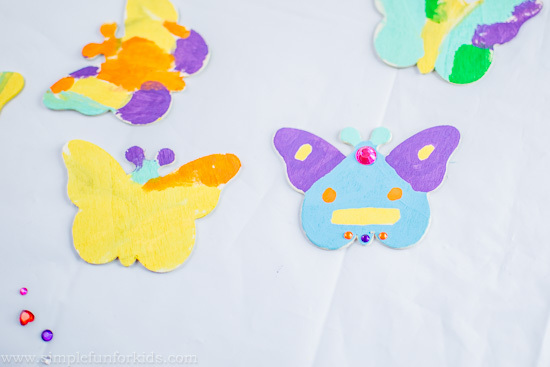 I love how colorful and pretty our painted and jeweled butterflies turned out! 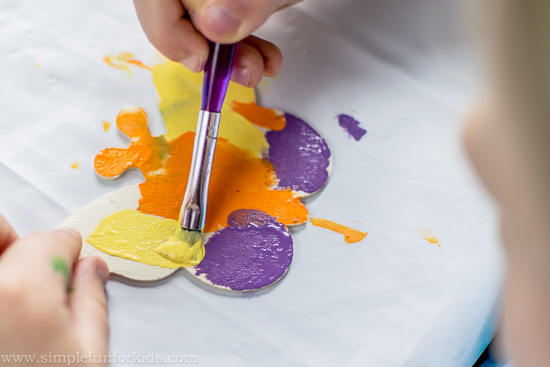 Does your child love butterflies? 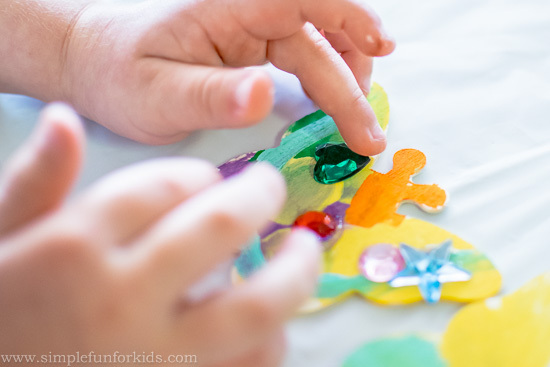 What’s your favorite spring craft? Leave a comment below, I’d love to hear from you! 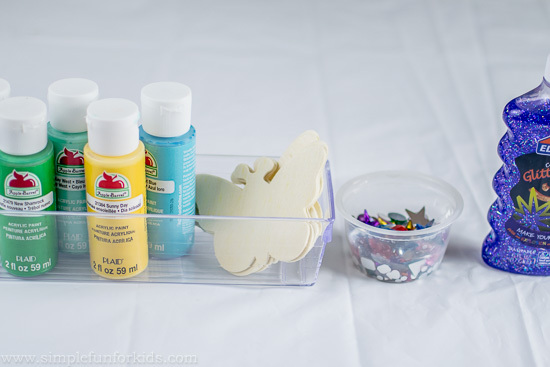 Looking for other ways to use the materials we used for this craft? 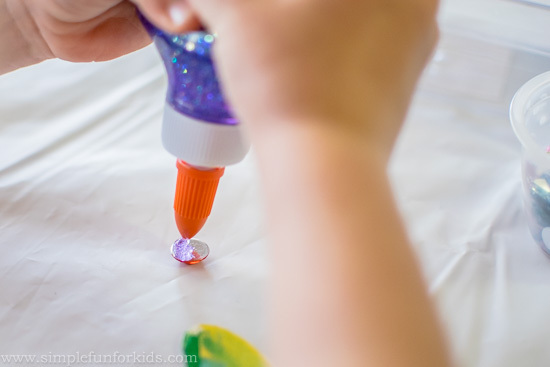 Gems: Squishy Sand Sensory Play and Valentine’s Treasure Ice Sculpture.